The Empire State Realty Trust and the Federation of the Indian Association together pulled off a feat that won many hearts, especially those of the Indian American community. An iconic symbol of the New York City, the Empire State Building erases boundaries and strengthened the bonds of oneness and brotherhood by celebrating Diwali in their own special way. The Empire State Realty Trust and the Federation of the Indian Association together pulled off a feat that won many hearts, especially those of the Indian American community. 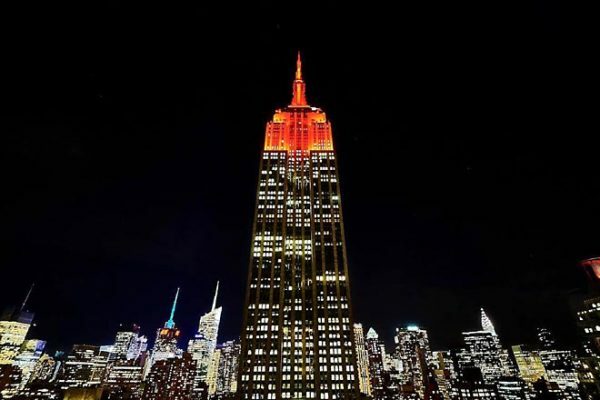 To honour the festival of lights, Diwali, the top of the Empire State Building was lit up in orange lights.